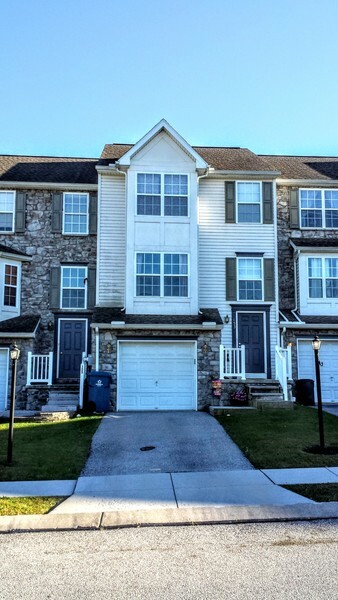 USDA Eligible Financing for this Spacious Move In Ready 3 bedroom 1.5 bath townhouse located just minutes from the MD line for an easy commute to Baltimore via Rt. 30 or 83. Convenient to schools and shopping. Home has a large dining/sun room for plenty of natural sunlight with deck and fenced in rear yard. Finished lower level for additional living space as well as 3 spacious bedrooms on the second floor. All appliances convey. Dont wait, schedule your showing today while interest rates are still low.